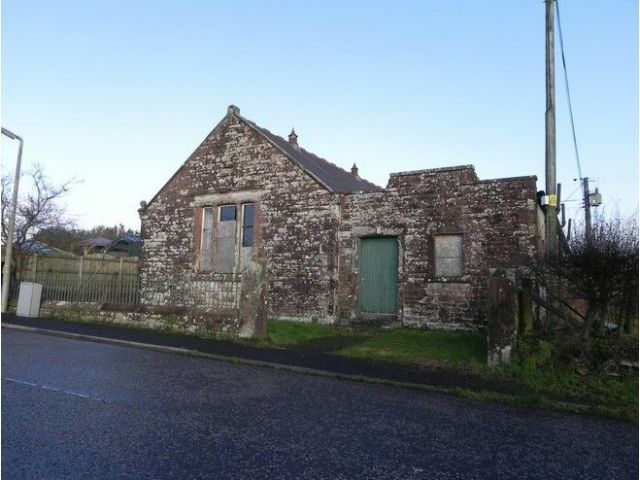 OFFERED FOR SALE WITH THE PERMISSION OF THE SCOTLAND OFFICE. KIRTLEBRIDGE VILLAGE IS IDEALLY SITUATED FOR ACCESS TO THE M74. INTERESTED PARTIES SHOULD ENQUIRE WITH D&G PLANNING DEPARTMENT REGARDING THE CHANGE OF USE / DEVELOPMENT. INTERNAL INSPECTIONS ARE AT VIEWERS OWN RISK DUE TO CONDITION OF BUILDING. Measurements are approximate and and for guidance only. Offers Around of £35,000 is invited and should be submitted to lj Residential 93 High Street, Annan DG12 6DJ or by Fax: 01461 205037.